Walsine Pierce: FARMER'S MARKET DAY: Fresh food, fair prices. In yesterday's blog I guess I "whined" about the difficult-to-believe increase in the cost of living. Today Julie and I continued to enjoy the good life by paying a fair price for a good product. We went to the Farmer's Market at Harville, Ohio. There we joined a wide assortment of friends and neighbors, old and young, some bus loads, all looking for bargain buys. 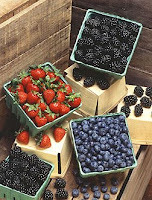 Alongwith what we already have in the way of fresh fruits and vegetables we bought enough to feed us well for maybe a couple weeks. The total cost ? Would you believe $21? That was up from our last trip when a couple weeks of fruit and veggies cost only $17. Shouldn't really blame Obama for this $4.00 jump but what the hey, I'm going to blame him for every other increase in the cost of living. Why change now. 12 Corn-on-the-cob. Still out of season, this was the $4.00 increase. 6 small sweet potatoes, just the right size. 5 large, red tomatoes -- very nice. Big bag of oranges, enough for maybe three weeks. What's for dinner tonight? Fried squash, sliced tomatoes and corn-on-the-cob. Tomorrow night we'll probably do hamburgers on the grill with sliced tomatoes with onions and cucumbers in sour cream and, of course, corn on the cob. Come on, Obama, bring it on. A couple months from now I'll be eating this out of my own garden and using the $21 to party it up. Of course, there is always a fly in the buttermilk! We can't get away from the farm market without eating hot dogs. 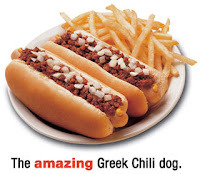 Four chili dogs, a shared french fry, coffee and lemonage for $15. Yes, I know but we're trying to help the economy! Well, thats my story and I'm sticking to it! 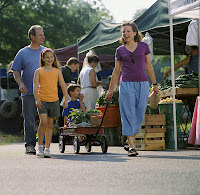 Do you shop farmer's markets? If not, you might want to consider it. You will get a good selection from a wide variety of each product. You will be amazed at the prices. We go a bit later in the day just before the farmer's tear down. At that time they begin to shout "three for five dollars". Today I bought onions, squash and green peppers, all for just five dollars total. "Three for five dollars! Those five big green peppers would have cost a dollar each at the grocery store. Oh, bye-the-bye, when I shucked the corn, one ear was twins. Yep, two for the price of one. I shucked two ears each and Julie and I had to fight over the "twin". I won but she got the most squash and ate a "tomato-butter" sandwich. Its a hill billy thing! Most important of all, you will be supporting the American Farmer. When they are gone, and they are going fast, our lives will never be the same. 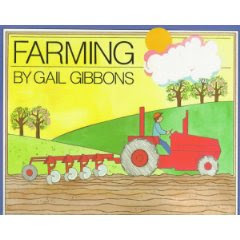 "The farmer is the only one in our economy who buys everything retail, sells everything wholesale, and pays the freight both ways".